A free, un-official, occasional e-newsletter about matters of our town. **** NEW **** Formation of a Whitefield Garden Club - meeting ! **** Important 2000 CENSUS data about Whitefield !! We are growing BIG TIME ! **** Whitefield in the NEWS ! 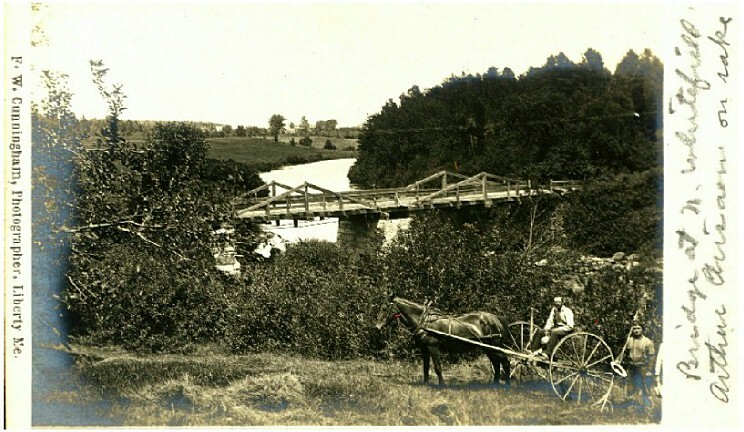 **** 100 year old picture of Partridge Bridge near Gordon & Genie Kellers. **** Did you know ????? **** Whitefield's wooden LADDER site ! **** ....and of course there is the unofficial Whitefield website !